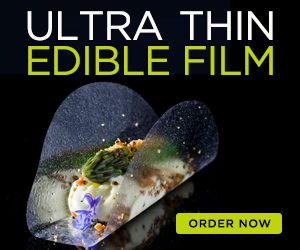 The Smoking Gun™ is a handheld food smoker that allows you to quickly finish foods with natural cool smoke that you would usually not be able to smoke: butter, oysters, raw fish, cocktails, salads, chocolate, meringue, etc. 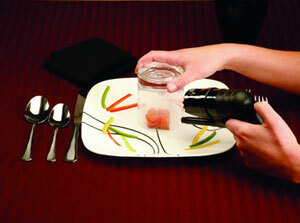 The ability to expose food to smoke without heat opens new ways to create exciting flavors and unexpected combinations. I got mine a few weeks ago and I can't stop using it. It is a great tool for the kitchen. You can get your Smoking Gun from our store. The resulting smoke flavor is subtle and adds a nice touch to a wide variety of foods and drinks. 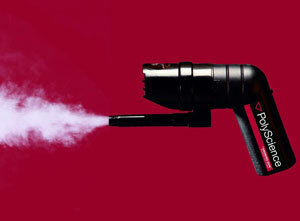 The Smoking Gun is so versatile, fast and easy to use that I seriously recommend it. You are going to love it! 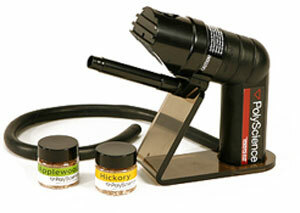 The Smoking Gun was developed by Polyscience, a leader in molecular gastronomy equipment. The Smoking Gun is basically a pipe with a fan inside. You can create smoke using wood chips, tea leaves, spices, wild flowers or even tobacco. You just place the smoking ingredient in the smoking chamber, turn on the fan, light it with a lighter and smoke will start coming out of the front tube or provided rubber hose to maneuver the smoke easily. Simple but it works! Smoking solid foods in a plastic bag or container with plastic wrap. It only takes 2-3 minutes to infuse the food with smoke flavor. Smoking solid foods tableside under a glass. Blow smoke into upside down glass, place smoke-filled glass over plated food, serve and remove at table in front of diner. It will provide the diner with an immediate sense of pleasure and anticipation when the dish is uncovered. Smoking liquids in a blender. Smoking liquids in a glass or shaker. Smoking butter or cream in a stand mixer. Hickory - Most commonly used wood for smoking--the King of smoking woods. Sweet to strong, pungent bacon-like flavor. Good with pork (ham, ribs, etc) and beef. Mesquite - Strong earthy flavor. Good with beef, fish, chicken, game and vegetables. Applewood - Very mild with a subtle fruity flavor, slightly sweet. Good with poultry game birds and pork. Cherrywood - Mild and fruity. Good with poultry, pork and beef. You can get a set of all wood chips from our store.